Hill Climb Racing Apk MOd Is a Best Racing Game. In This Game On up level You Can Upgradeable suspension And parts include engine And tires and 4WD . 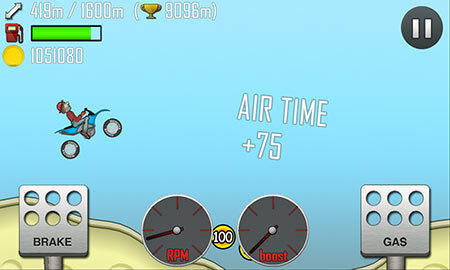 Download Hill Climb Racing For Android With Direct link From Revdl. Hill Climb Racing is a game in which you have to try and get as far as possible in your vehicle while collecting any coins you find. This Game Have smooth physics simulation And Cool graphics. We Recommend This Game For Users. How to download mod apk file?? Can you explain to me how it works and what to do? Revld please add looney tones dash MOD unlimited money.we are waiting for that.